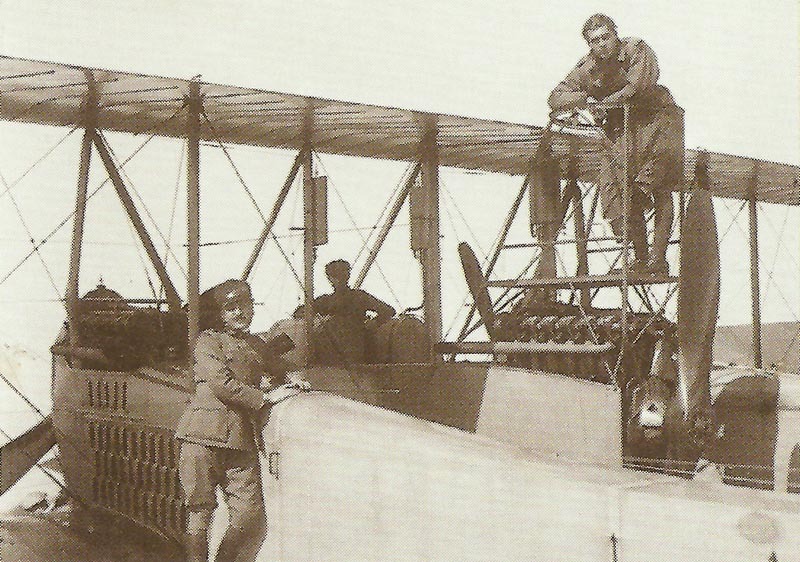 The crew of an Italian Caproni bomber. Austria – First long-distance Italian bombing raid: Caproni bombers drop almost 4,000 lb bombs on Laibach in retaliation for Austrian raid on Milan (February 14). Italian Front: Italian advance in Collo zone. Arabia: Sherif letter to Cairo says time needed to prepare rebellion, requests £50,000 for food and rifles (British approve on March 10). North Cameroons – END OF CAMPAIGN: Mora surrenders (Captain Raben’s 156 men with 4 MGs). Uganda: 30 police repulse 80 Germans (59 casualties) at Kachumbe and take an MG without loss; 170 British surprise and burn German Dwakitiku post on February 22. China: Royal Navy cruiser removes 38 Central Powers’ nationals from US SS China at Yangtze entrance; released on May 13. France: Government wins confi­dence vote.